The importance of tool quality. The achievable quality of a gear is greatly affected by the quality of the cutting tool used. “Quality” in this context means geometric accuracy (as opposed to metallurgical quality or surface finish, for example). A gear’s geometry can only be as good as the geometry of the cutting tool used to produce it. Therefore, cutting tool maintenance and quality should be a top priority when manufacturing gears. It should go without saying that in order to maintain tool quality, extreme care should be taken when handling cutting tools. This is especially important when handling tools of a relatively brittle material such as carbide. Avoid contact between the cutting tool and any hard surfaces. Simply rolling a hob along a hard tabletop, for instance, can introduce microfractures to the tool’s cutting edges. This will accelerate the wear that the tool experiences during cutting, which will decrease the number of parts (gears) per sharpening. 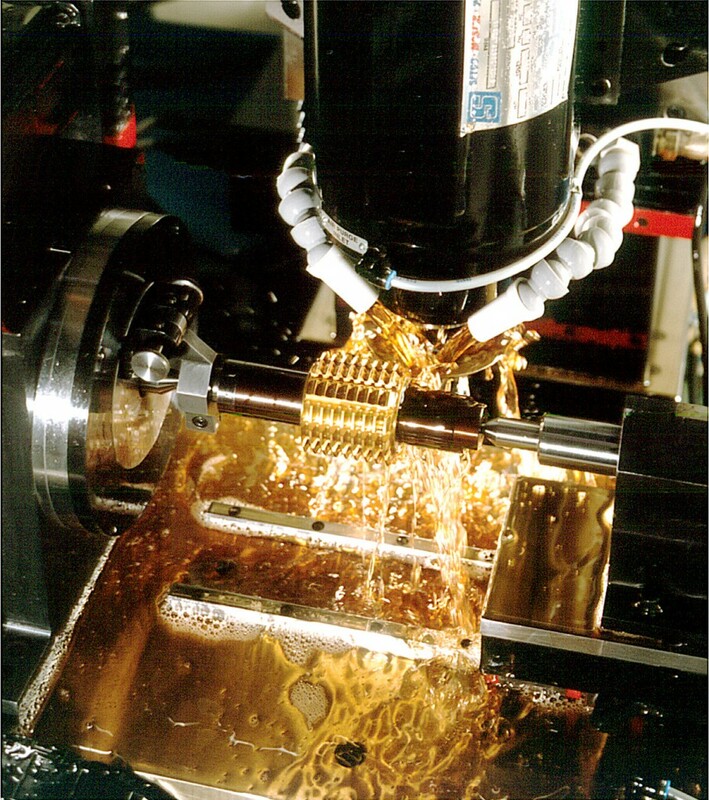 During use, high quality cutting tools need a high quality mounting or clamping solution. Hob arbors, for example, should be clean and free of any nicks, burrs, or damage. Proper mounting of a cutting tool should have less than 0.0003” radial and axial runout as measured at the hubs and hub faces, respectively. Additionally, the rigidity of the clamping solution should be designed such that minimal vibrations are induced during the cutting process. Without meeting this requirement, the cutting tool will suffer amplified wear, which in turn will require additional resharpening and maintenance needs. Effects on work piece due to poor mounting. Once a cutting tool is too worn to continue producing quality gears, it must be resharpened to maintain its quality. In fact, this resharpening process can be thought of as “returning” the tool to its original quality, but only high quality resharpening will return a high quality cutting tool. Thus, the cutting tool resharpening process should be another top priority when producing gears. In a future issue, we will go into greater detail on the requirements for high quality resharpening. 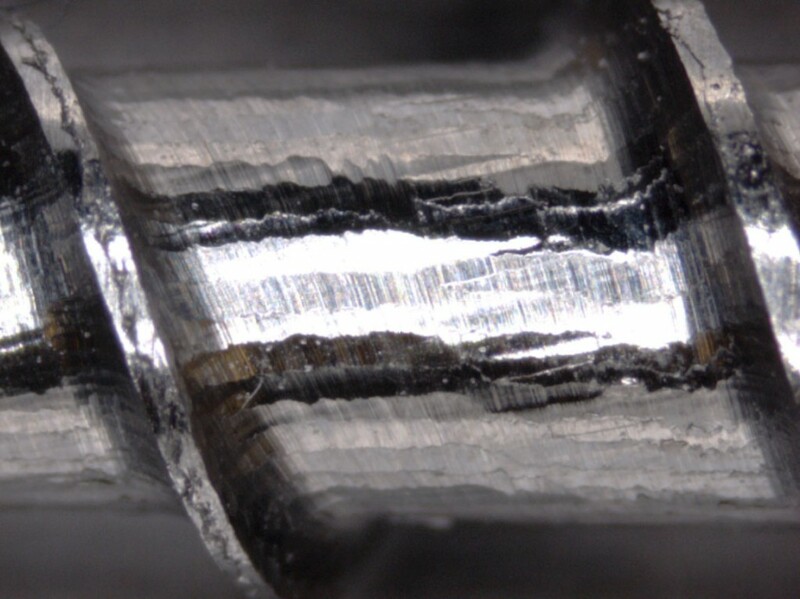 To conclude, basic cutting tool maintenance begins with understanding AGMA tool quality standards because this determines the maximum quality that can be maintained. Handling tools with care is fundamental to preserving a tool’s quality. When on a machine, high quality, rigid mounting is necessary to maintain a tool. Lastly, professional tool resharpening ensures top quality maintenance of gear cutting tools.